Burner phones. That’s what we used to call prepaid phones. So cheap you used them once and only good for voice or text. A burner phone was no way for a person to go through life, at least if they had a choice. Sure there were people who depended on them, because of failed credit checks or because for “some reason” they wanted an untraceable phone. Hey, I don’t judge. A burner phone was better than no phone at all. I’ve used them when traveling too, to keep my smartphone from being stolen. The thing is, pre-paid phones are far more than just burners today. In the last few years, innovative companies have started developing pre-paid plans that are every bit as good as traditional “postpaid” ones. You can get a great selection of phones, you can get unlimited data, and best of all, you’re in control of when and how you spend your money. Pre-paid phones aren’t just burners anymore. 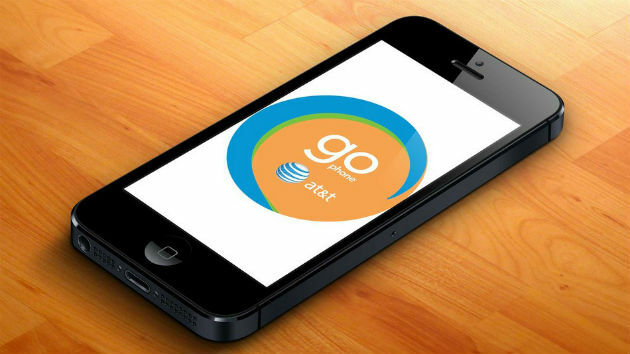 It’s not going to come as a surprise to a lot of people that AT&T is my preferred provider of pre-paid phones. Their GoPhone product is absolutely the top tier of the pre-paid universe and they have phones and plans that will satisfy pretty much any need. Yes, you can still get an incredibly inexpensive flip phone if you’re on the run from the law (as I said, I don’t judge.) Or, you can get the latest and greatest smartphones at reasonable prices. It’s up to you. With a pre-paid phone, you can change plans when you need, and you pay only for what you use. You’re on a month-to-month contract and that means you can use a pre-paid phone while you’re waiting for the next iPhone or Galaxy to show up, or just use it as a secondary phone to keep in the car for emergencies. If you’re in a part of the country (or of the world) where your phone doesn’t work well for any reason, a pre-paid phone solves your problems quickly. With a pre-paid phone you have flexibility. You can move your number from phone to phone in many cases, or get a new number with each device if that’s what you want. If you have an older AT&T phone, you can get it unlocked either at they AT&T store, at most cell repair stores, or learn how to do it yourself, and then you can use that old phone as a pre-paid phone. I’ll admit that I was just like a lot of you, I was kind of a snob about pre-paid phones until I started diving into what AT&T was offering. I didn’t realize that pre-paid phones are just as good as regular cell phones and that I might actually want that added level of freedom from time to time. It’s always good to have options, and with a pre-paid phone you decide what to do and how to use the phone, with no contracts to hold you back. After all, why wouldn’t you want to use your own phone your way? That’s what a prepaid phone brings to you.